Juvenile Arthritis (JA) also known as pediatric rheumatic disease, is a term used to describe several autoimmune and inflammatory conditions that can develop in children under the age of 16. 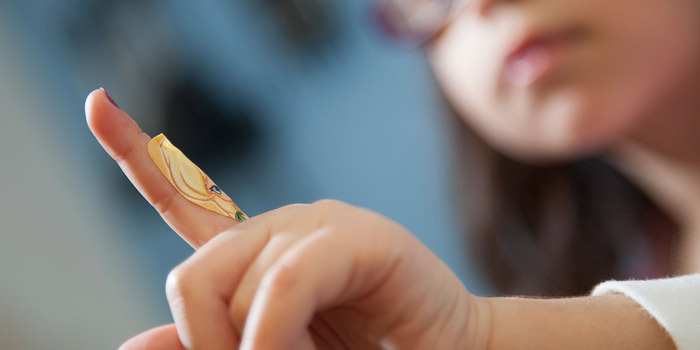 These are the types of juvenile arthritis: Juvenile idiopathic arthritis (JIA-the most common form), Juvenile dermatomyositis, Juvenile lupus,Juvenile scleroderma, Kawasaki disease, Mixed connective tissue disease and Fibromyalgia. Pain – While a child with juvenile arthritis might not complain of joint pain, you may notice that he or she limps — especially first thing in the morning or after a nap. Swelling – Joint swelling is common but is often first noticed in larger joints like the knee. Stiffness – A child with juvenile arthritis will appear clumsier than usual, particularly in the morning or after naps. Unfortunately, there is no cure for juvenile arthritis, although with early diagnosis and aggressive treatment, remission is possible. The goal of treatment is to relieve inflammation, control pain and improve the child’s quality of life. Most treatment plans involve a combination of medication, physical activity, eye care and healthy eating. Other treatments include being physically active and maintaining a healthy weight, protecting your joints by maintaining proper form during exercise and being smart when working around the house or yard. According to DCC, if you have difficulty dressing, you are entitled to a tax credit. Juvenile arthritis would prevent you to do many everyday activities such as dressing and many other things. The child disability benefit (CDB) is a tax-free benefit for families who care for a child under age 18 who is eligible for the disability tax credit. A child is eligible for the disability tax credit when a medical practitioner certifies, on Form T2201, Disability Tax Credit Certificate, that the child has a severe and prolonged impairment in physical or mental functions, and the Canada Revenue Agency (CRA) approves the form.